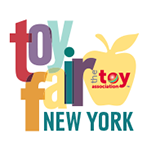 "The Largest International Toy Fair"
Toy Fair - New York is the largest international toy fair. The event is filled with exhibitors and professionals of toy industries from different parts of the world gathered under a single roof. The exhibitors display their products and services to visitors and demonstrate the latest innovations and technologies used in the current products. This event is a dream come true for all kids. Even parents relive their childhood memories and have the time of their lives. The event also includes competitions and seminars to train newly established businesses and gain knowledge from professionals. This is a must-attend event for all toy industries. There were several designers trying to introduce and demonstrate their new idea and prototypes. But, it was hard to do it. I think it would be interested to the participants if you will invite them and make short term show during next expo. Distributor information, products were great, toy assoc access. Great show! 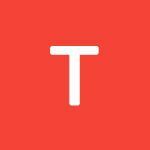 The event was great and had the chance to get exposed to interesting products, establish contacts and paved the way for new business.I did not like at all the high restrictions to go inside the booths of some big companies llke Mattel, Lego, etc. The targeted exhibitors at American International Toy Fair 2015 are: producers and companies dealing in: action figures, arts & crafts, board games, online games & puzzles, childrens books & music, designer art toys, dolls, soft toys & accessories, educational toys & games, science & discovery kits, infant and preschool toys & accessories, outdoor toys, play equipment, sporting goods, accessories, youth electronics, tech toys, interactive gaming and robotics.